The brutal assault video of Rodney King, who found himself battered during a vicious act of police violence in 1991, is a reminder of how unbridled racism was allowed to fester within one of the best known police departments in the world. The sustained attack by four Los Angeles police officers on a Californian roadside, was captured on videotape by a witness. 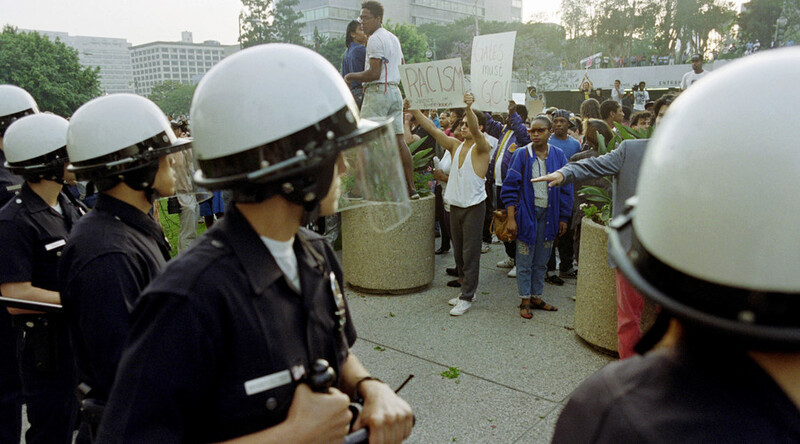 An unprecedented inquiry followed, confirming a culture of excessive force within the LAPD “aggravated by racism.” It also gave rise to a court case which eventually lit the fuse for six days of rioting within the city in 1992. Saturday, April 29 marks the 25th anniversary of the surprise verdict of that trial in Simi Valley, Ventura County. Four white LA police officers were acquitted of the assault by a majority white jury, despite weighty visual evidence to the contrary. The trial, moved outside of Los Angeles, marked the breaking point for many who had been exposed to decades of social and racial discrimination in the city. The amateur video of King, on the ground and surrounded by Los Angeles police officers as they rained down more than 50 baton blows on him, echoes in the minds of a generation whenever footage emerges of suspected abuse by authorities. Shot on a camcorder by plumber George Holliday, the clip of the assault is often referred to as one of the first viral videos given how quickly it spread across news stations and into the public domain. The imagery also encapsulated the racism and inequality experienced by people on the fringes of society, exacerbating a feeling of marginalization that culminated in the LA riots. On April 29, 1992 the trial ended with a ‘not guilty’ verdict that stunned the US and its President, George Bush Snr, who described in an address to the nation how civil rights leaders felt “betrayed”. The outcome, although the result of a long judicial process, was seen as a bitter blow to civil rights. LA Mayor Tom Bradley, while urging restraint in the aftermath, summed up the thoughts of the surprise verdict. “This jury told the world that what we all saw with our own eyes wasn’t a crime. Today, that jury asked us to accept the senseless brutal beating of a helpless man,” he said. Many from the city's diverse communities took to the streets to express their outrage with days of violence, looting and destruction following. 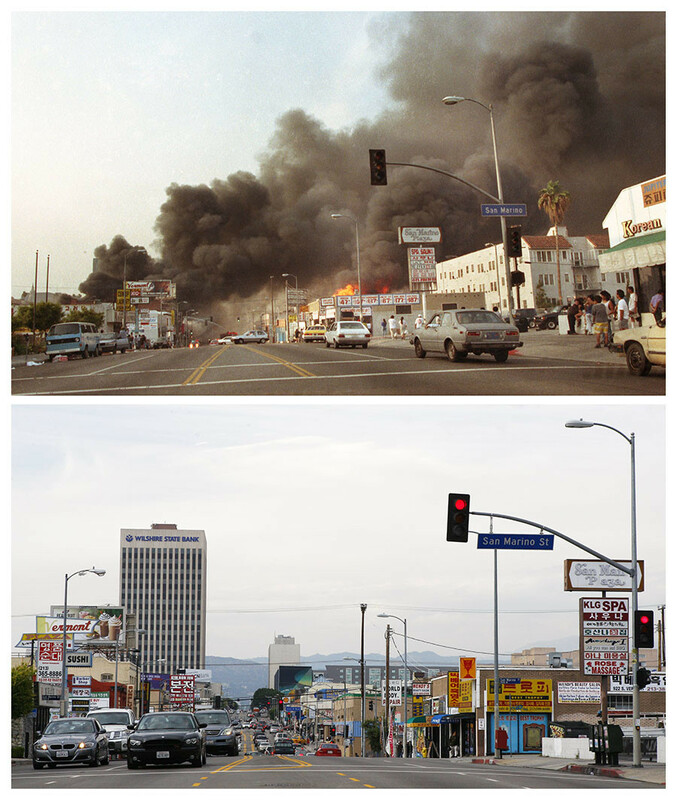 It’s estimated that around 4,000 fires were set during the riots, which began in South Central. 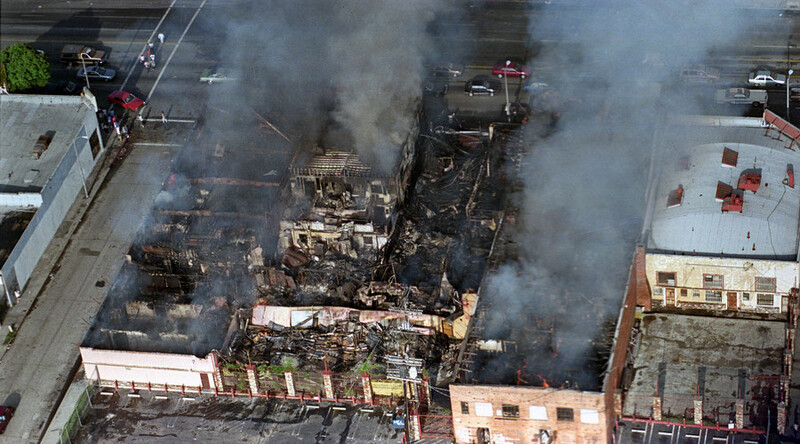 More than 50 people died and the riot left the city with damage totaling $1 billion. However, as Dr Darnell Hunt, a professor of sociology at University of California Los Angeles (UCLA), suggests, the events in LA were not just the actions of a “mob, pure and simple”, like the president at the time explained. For some, it was a way to “come up” and hit back at a system that failed to look after its own people. “A lot of things were happening in the 1990s. We were in the midst of over a decade of Reagan and Bush neoconservative policies that diminished funding to inner cities and challenged policies like affirmative action, which were initiated to address racial and ethnic inequality in America,” he said. One such flash point was the case of Latasha Harlins, a 15-year-old African American who was shot in the head at a Korean food store in South LA in an argument about a carton of orange juice. The shop owner, Soon Ja Du, was convicted of manslaughter but never jailed. She instead paid a $500 fine and carried out community service. And then came the Rodney King case. “I think for me the important takeaway was how the verdicts were really just a trigger,” Hunt told RT. So what was the significance of the riots and has the US progressed since one of the worst riots in the country’s history? There have been hundreds of arguably similar cases involving law enforcement since. Meanwhile, President Donald Trump’s arrival into the White House and the specter of the militant right does little to boost racial harmony. 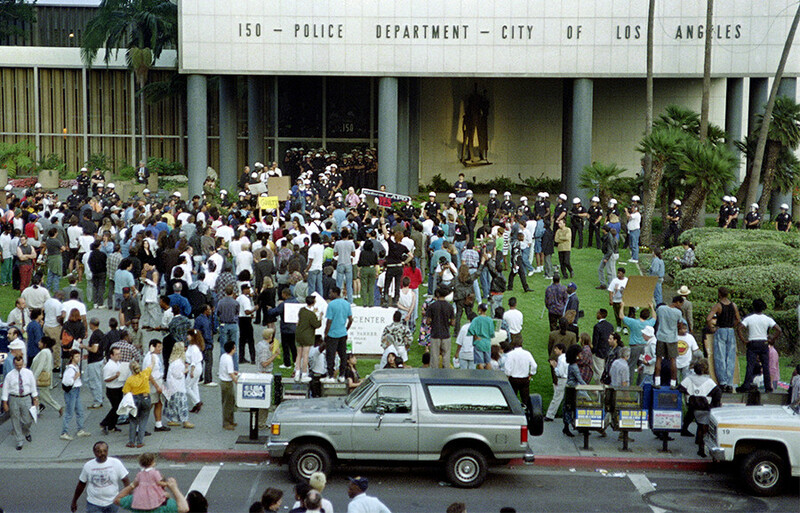 “I think that we’ve made progress in the sense that it was almost not officially accepted in 1992 that there was anything wrong with the LAPD. The department has been celebrated since the 1950s; in Hollywood, TV shows, and the force pioneered surveillance tactics and helicopter policing. They had a whole mythical status,” Hunt said.